A very good-looking, glamorous actress and also holding some great talents of acting. Jennifer Finnigan has got a tattoo of a heart in her body. Jennifer Tilly, a professional poker player and actress had two tattoos made for her two movies that she featured in. Though these weren’t of great significance to her, they had a huge impact on the movies she was a part of. Description: American singer Kimberly Wyatt has inked herself all over her body which includes a beautiful message inked on her in Sanskrit. Want to know more about Marisa TOMEI’s Eye of Horus? Well, all you need to do is visit this link. 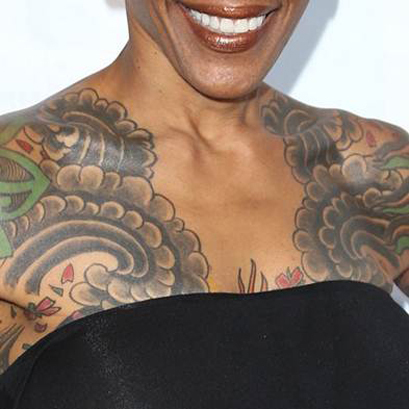 Popular American model Sandra Taylor isn’t fond of tattoos and has only one ankle tattoo to show for. Taylor Momsen is a musician and actress. 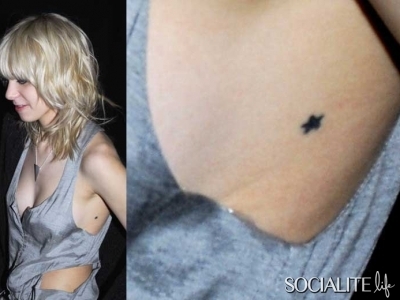 She has two tattoos, one on the left side of her body and the other on her left hand.